Essential Oils Revolution Starts Tomorrow! I meant to post this much earlier in the day, but Mother's Day festivities held over longer than expected. I hope you were able to spend time and show appreciation to the mothers in your life. I don't have children, and I lost my paternal grandmother last year. I was blessed, however, to be able to spend the day with my mother and her mother. Not to mention the mother of my niece and nephew, as well as an aunt who has taken on a maternal role for the family more than once in my life. It was a good, family filled day. I'm especially interested in "Biblically-Based Essential Oil Uses" and "Empowering Emotions with Essential Oils." If you sign up for the free summit, you'll receive a link to a page for each day's presentations. They will be available to you, on demand, for 24 hours -- starting at 10am (eastern) and ending at 9:59 am the next day. It's important to note this is a brand-neutral essential oils summit. If you read my post series, Dipping My Toe into the Pool of Essential Oils, you know how happy I am with that. More than one company is represented in my essential oil stash! Click here, or on the image above, to register for the free essential oils revolution. If you find this post after it goes live, you can still join in! If you are interested in owning all 31 presentations without the 24-hour time restraints for each day, click here. You can also visit through the image in this blog's sidebar. Shared at Simple Life Sunday and Simply Natural Saturdays. Disclosure: This post contains an affiliate link, which means I may receive a very small commission if you click the link and buy something. This helps support my mountain homestead dream as well as my blogging activities, and the price you pay will be no different than if you arrived at the same destination through any other link. My opinions are my own, to be sure. If I link to a product and say I like it -- I truly like it! 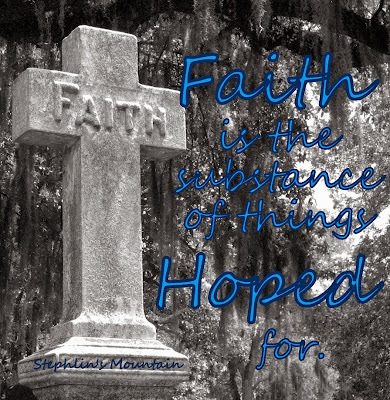 :-) Thanks for reading, following, and supporting Stephlin's Mountain. I know the value of essential oils, but I'm still learning all they can do for me and my family. Reading how others use them helps me with learning specific uses for each oil, as well as gives me ideas of what to use when a specific need arises. It is in this vein that I am writing here about my experience with Thyme 100% Pure Therapeutic Grade Essential Oil. I had an issue in my mouth. It wasn't a toothache, nor a sore. It was some sort of an infection that caused some swelling and tenderness around the gum line at the base of one of my teeth. I wasn't overly concerned about it, but I hate the dentist and didn't want it to grow into something that required an antibiotic, so I looked to my essential oils. Lavender, Lemongrass, and Thyme are three that I had on hand that, after doing a bit of reading, I decided were good ones to use in this instance. Lavender is one of the most useful essential oils for therapeutic purposes. It's commonly associated with the healing of the skin. Lemongrass is known for its antiseptic and astringent properties. Thyme is considered to have very powerful and penetrating antiseptic properties. I continued reading and discovered Thyme Oil contains Thymol, which is used as a germ-killer in mouthwash and helps prevent tooth decay. Needless to say, I went with the Thyme Essential Oil. I could have mixed a few drops with a carrier oil, but went a bit simpler. I took one drop. Literally! One. Drop. Put it on my finger and dabbed the sore spot. The heat was amazing and felt powerful (if that makes sense). The relief from soreness was immediate. And the swelling went down quickly enough that I felt no need for a second application. The single annoyance was my saliva glands went into overdrive. Even though I know their strength, essential oils continue to impress me. I don't pretend that this was some miraculous cure of a horrible condition. But if one drop of Thyme oil prevents a dental and / or doctor visit, I am all for it! OK. There's my thyme oil testimonial. And don't forget about how I used it in my wonderful, comfortable to wear, homemade bug repellent! You can register (it's free!) by clicking here. If you register today, you'll receive 5 free gifts. That's in addition to all the free information you can glean from the summit presenters May 11-18. Shared at HomeAcre Hop, Thrifty Thursday, Fluster's Creative Muster, Wake Up Wednesday, Wildcrafting Wednesday, Wonderful Wednesday, Simple Life Sunday, and Simply Natural Saturdays. Another title for this post could be: When God Says "No" or even "Not Now". We are not far removed from a disappointing, disheartening week. I'm choosing not to provide the gory details at this time. In short, I thought I was going after something that was meant to be for my life. I was somewhat confident it would materialize, but it didn't. I was rather heartbroken, and even shed a few tears. Something I'm not known for doing often. Truth be told, I don't yet know if the Father said "No" or "Not now." Time will surely tell. Which brings me to the subjects of faith and hope. In my opinion, it's pretty tough to have one without the other. Hope, as a verb, is defined as "to desire and consider possible." The consider possible part is where faith and hope connect. I'll admit it took me a day or two to get out of a disappointed funk. When I came around, however, I was a bit embarrassed before God. I talk the talk, but am I walking the walk? I am not a perfect being, so I allowed myself the human reaction and got back to the business of being a child of God. Is He trying to teach me something? Show me something? Does He have something "bigger and better" in His plan for me? Each of these possibilities requires patience and faith. Remember the life verse I mentioned in a previous post? Jeremiah 33:3. Yep. Patience and faith. Less than 24 hours later, I read this in Cindy Trimm's Commanding Your Morning Daily Devotional: "As a man thinks in his heart -- in the present active continuum -- he is building his life one brick at a time." What is faith? The substance, or foundation (bricks!) of what we hope for. If I'm being honest with myself, I have been a bit "wavereth." I don't mean in my belief that God is The Father. Nor do I mean in my trust in Him for my everyday needs. But I am a bit reticent when it comes to requests that I think align with His will. From now on, I vow to know in my heart and pray boldly! 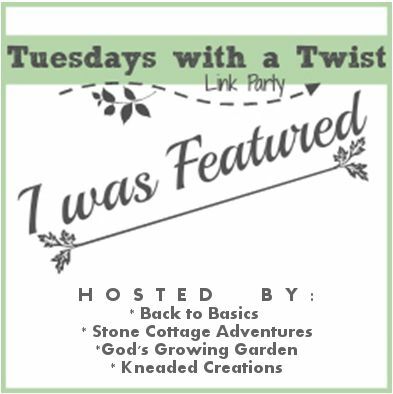 Shared at Coffee and Conversation, Wonderful Wednesday, Making a Home - Homemaking Linky, Teach Me Tuesday, Tuesdays with a Twist, and Homemade Mondays. Life without an oven stinks. Especially when you love to bake. And since our beloved Destiny lacks the appliance, I haven't been able to bake in over two months! Well, I could stand for that no more. So we bought one. I had a bit of cash left on an Amazon gift card so, while it's not exactly high dollar, we were able to get a good one: a Black & Decker Countertop Convection Toaster Oven was delivered just a few days ago. I was able to sample some recently received strawberries at work the day before yesterday. They were Delicious! I was actually surprised at how tasty they were, and made sure to buy some on the way out. I already had a couple of bananas at home, and had pinned the base recipe for this cake not long ago. It was a perfect storm, it seems. You only need one bowl to mix this cake. A plus for those with limited space! The base recipe does not call for bananas, but I couldn't resist the combination. I simply folded in slices at the end of mixing the cake batter. And I think I made my dollops of strawberry jam a bit too big. Next time, I'll be more inclined to swirl it in to the top. And the yummy result. It's somewhat similar to the best strawberry bread ever I posted about here. Greek yogurt makes it super moist. Recipe follows. Adapted from Betty Crocker recipe here. Preheat oven (toaster or regular) to 350°F. Grease and flour a 13x9-inch (I used a 10X12-inch) pan. In a large bowl, stir together yogurt, 1 1/2 cups granulated sugar, oil of choice, and vanilla until well combined. Mix in eggs, one at a time, until well blended. Add flour and baking powder; beat with wooden spoon until smooth. Fold in sliced bananas, if using. Pour batter into pan, spreading evenly. Dollop strawberry jam on top of cake batter. Sprinkle with strawberries and remaining 2 tsp granulated sugar. Bake 45 to 50 minutes or until toothpick inserted in center comes out clean. (Mine took 45 minutes in the toaster oven.) Cool 20 - 30 minutes. Sprinkle with powdered sugar, if so desired. Shared at Making a Home - Homemaking Linky, Tasty Tuesday, Teach Me Tuesday, Tickle My Tastebuds, Tuesdays with a Twist, and Homemade Mondays.